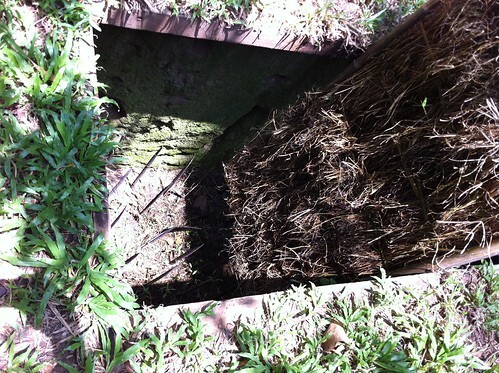 The Cu Chi Tunnels in Ho Chi Ming City, Vietnam is a network of 250km tunnels constructed by Viet Cong over 20 years. At one point of time, these tunnels allowed access to Saigon (Now called Ho Chin Minh city) outskirts far away from the Cambodian border. These are the underground tunnels with a main axis system and various branches that connect to the shelters, hideouts and entrances to some other tunnels. 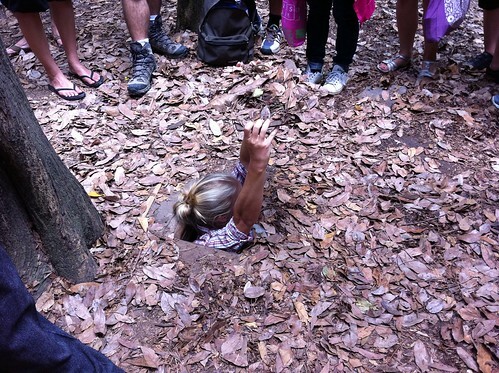 Cu Chi Tunnels are indeed the most famous excursion plan in the Ho Chi Ming City. The full day trips start early in the mornings and head to Cao Dai Temple at the Tay Ninh on Cambodian border. Then, in the afternoon, the tour goes on to tunnels that return to the Ho Chi Ming City by evening or late afternoon, as per the traffic. These tunnels have carved themselves a magnificent and well known niche in history of the guerilla warfare. The unseen straddles of the tunnels are a must watch by the tourists. 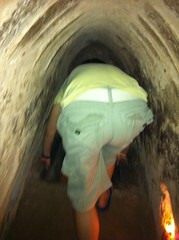 These tunnels were actually dug some time before the American War i.e. somewhere around late 1940s. The plan was really simple and clear- take resistance briefly to enemy and thus vanish eventually. So if you happen to visit the Ho Chi Ming City, you should surely visit the Cu Chi Tunnel. The visit of the tunnel starts when a guide shows the wall chart of tunnels and highlights how these tunnels were actually constructed. Then you will be taken inside the tunnels to show their significance. 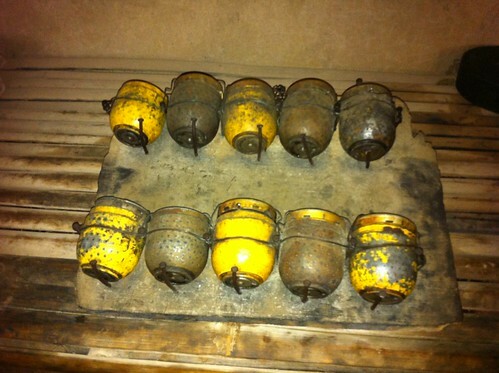 You will also see all kinds of traps, weapons and bombs that were used. The 121km long network of tunnels has been actually preserved by Vietnam government and has even been turned into war memorial park. These tunnels are a famous tourist destination to visit and the tourists are invited to go around the safe parts of this tunnel system. It is wise to note that there are some tunnels as well that are made larger in size in order to accommodate the Western tourists. The low power lights have also been installed in many tunnels to make the traveling easier. The underground conference room in which campaigns like the Tet Offensive were planned has been now restored and various tourists enjoy simple meal of the food that the Viet Cong fighters must have eaten. In case you are a historian or history desirer and wish to figure out how tough the Vietnamese people lived their lives and won over past war, you should surely pay a visit to these tunnels. 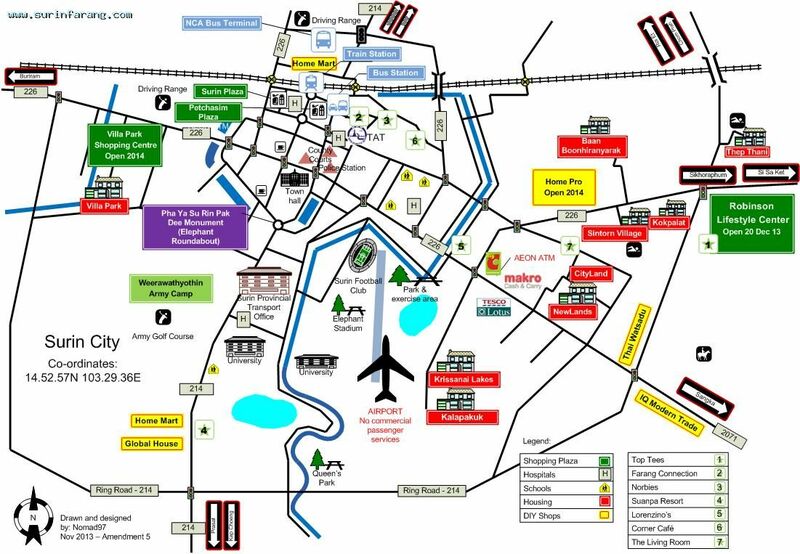 This way, you will be able to try the real Viet life lead in underground shelters. There are even some tours that offer meals inside the tunnels that are exactly same as what was faced by past guerillas. In case you are an adventure lover who wishes to explore, these tunnels will captivate you for sure. More so, touring the Cu Chi tunnel will help you a great deal to learn about war and resilience of Vietnamese people. So what are you waiting for? Just take your decisions and explore the hard yet heroic Vietnam by visiting the Ho Chi Ming City and particularly the Cu Chi tunnels. You will never regret your decision of visiting these tunnels. It is better to make advance bookings to visit Vietnam and spend a memorable time with your family or friends. Cu Chi Tunnel serves as one of the must visit tourist destinations in the Ho Chi Ming City. It is a place that is worth visiting if you wish to know the real life of the Vietnamese and how they lived in those underground tunnels in rough conditions. 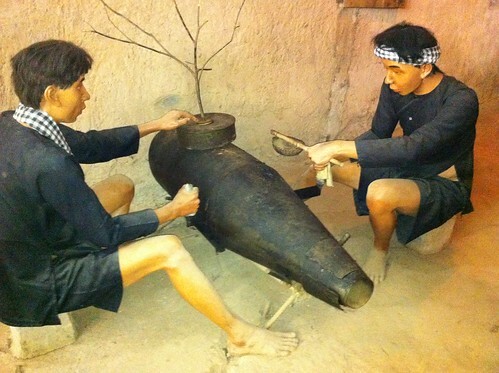 Cu Chi Tunnel is flocked by a myriad of visitors and tourists every year.